Breathe New Life Into Your Koi Pond! Contact Acorn To Get On Our Cleaning Schedule. Speak To KOi Pond Pro, Call Acorn Now! 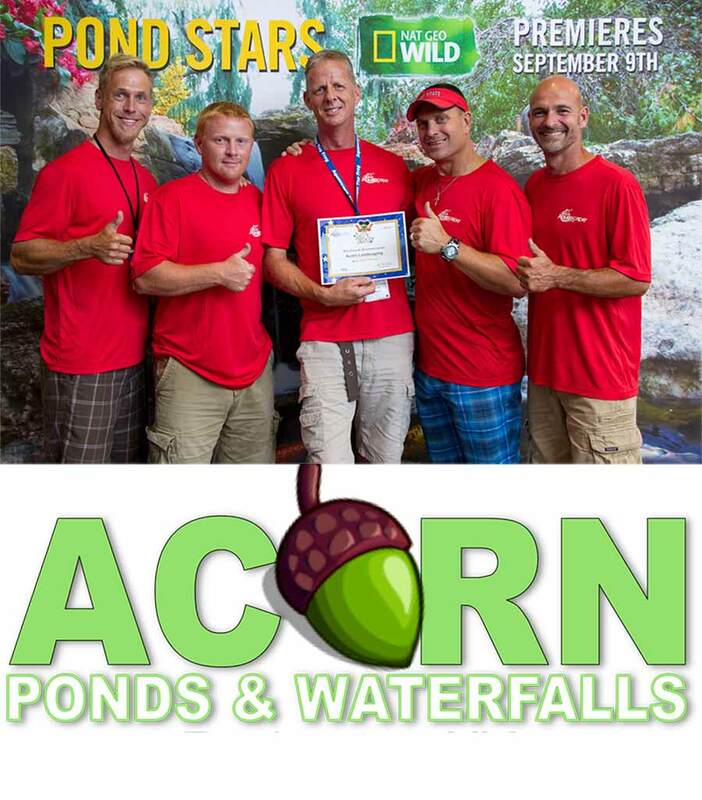 Thinking About Hiring A Trained Pro To Clean Your Koi Pond Or Water Feature?...Acorn Ponds & Waterfalls®! SERVICE And Repair AVAILABILITIES IN GREECE, PITTSFORD, WEBSTER, MONROE COUNTY New York (NY) & BEYOND Near You! Acorn Ponds & Waterfalls water feature service calls in Western New York (NY) involve cleaning & repair services for all types of water gardens including ornamental fish (KOI) ponds, traditional water features, aquatic plant (Lilly) ponds, disappearing pondless waterfalls, recreational ponds, reflection ponds, mini tub/style ponds, terrace or patio ponds, earthen natural ponds and several types of landscape water features/fountains. 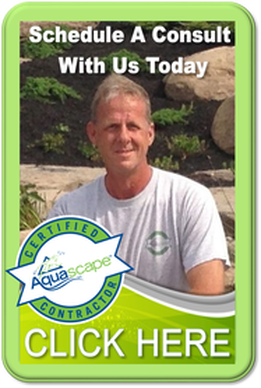 Have you been thinking about hiring an experienced pond contractor to help get your pond right? Our process for new clients makes it simple. Simply fill out our contact form and send us pictures of your pond or water feature and we will get back to you within 24 hours. Leaves and other debris that collect on the bottom of the pond will decompose, releasing ammonia and nitrates into the water. When these levels get too high, it can be harmful to your fish, and in some cases can prove fatal. Dirty water also spoils the look of your pond or water garden. The water should be clear so that you can see right to the bottom without an overgrowth of algae. Your aquatic and surrounding plants need to be kept pruned to stay healthy too. As a result of uneducated or poor installation techniques or even maintenance neglect, waterfalls and streams do occasionally require repairs. Tears in the liner and the breakdown of equipment are issues we see often with damaged or improperly operating water features, although the shifting of gravel, rocks, and even land can also lead to substantial problems. Regardless of the issues that have led to the malfunction of your water feature, the experience and unique training of our team allows us to diagnose and fix your problem quickly and accurately. Do you happen to have a Rochester or Western New York (NY) home pond that isn’t quite as large as the water garden you envisioned when you first had it installed? 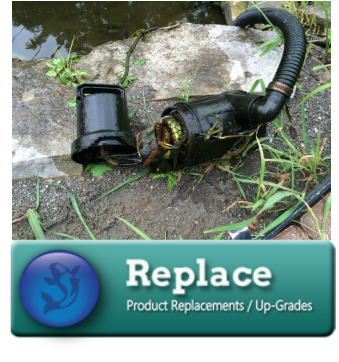 Do you perhaps have a fish pond that either isn’t operational or isn’t up to your standards, because the promises of your contractor didn’t quite come to pass? If so, our pond enlargement or pond renovation & replacement services may be just what you need in order to get the most out of your water feature. 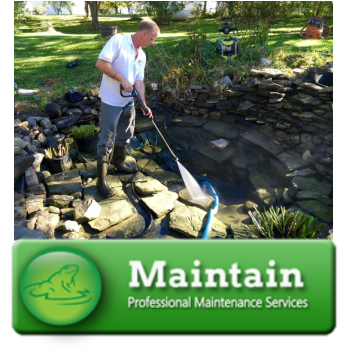 Schedule a pond check-up service now! 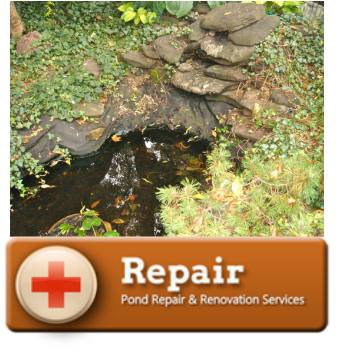 Hire Acorn Ponds & Waterfalls For KOI Pond, Fountain & Water Feature Cleaning, Maintenance & Repair Services In Western New York (NY) INCLUDING ROCHESTER (*Our Main Area), BUFFALO & SYRACUSE - CaLL NOW!